Last week (on holiday) I had planned to get stuck into a gorgeous bespoke charm pack I won some time ago from Pickle Dish. I wanted to do v.little to these cute squares, and thought about a stacked coin style design. But then I got to thinking (oh no!) that these colours would look really good in my bedroom, and I have a large & long space on a wall which is crying out for a quilt. 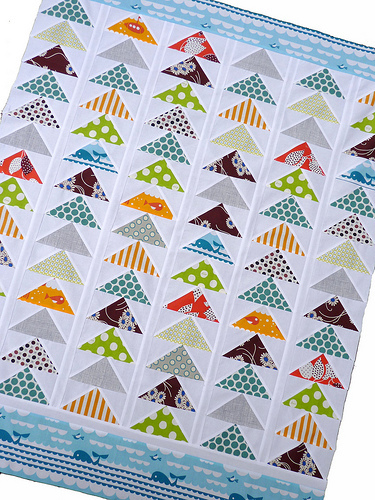 and the plan is now to make a flying geese style quilt, similar in style to this one. 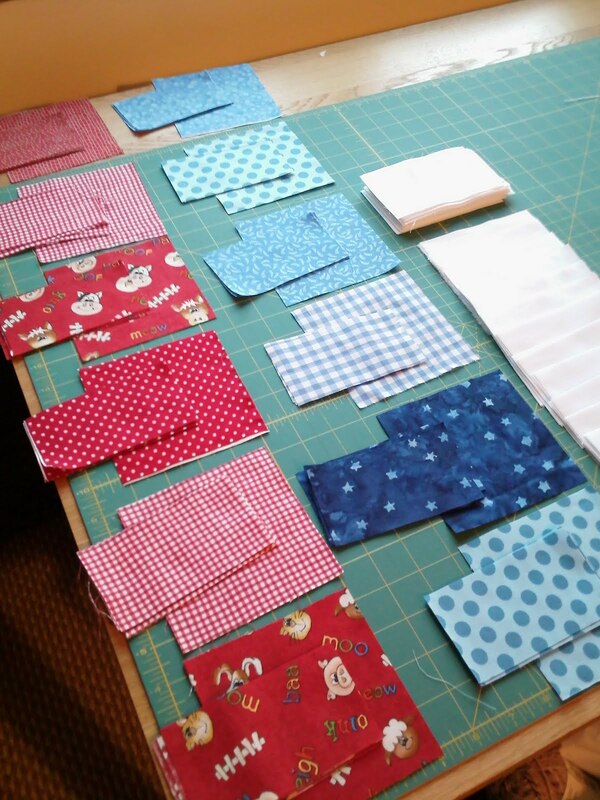 Problem is, I can’t bring myself to cut into the charm squares in case I change my mind again!!! I just need to take a deep breath and go for it! 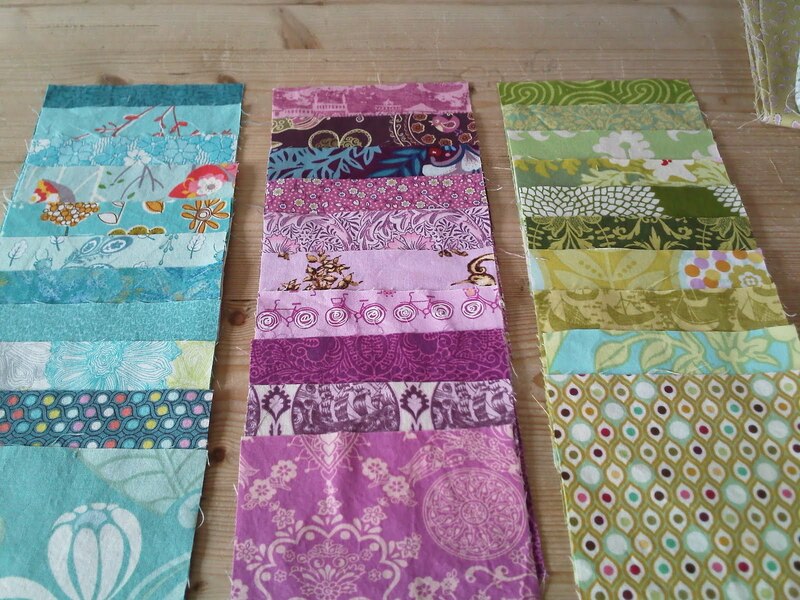 I also don’t know what to call this quilt, so I may run a wee Naming competition/giveaway – watch this space! 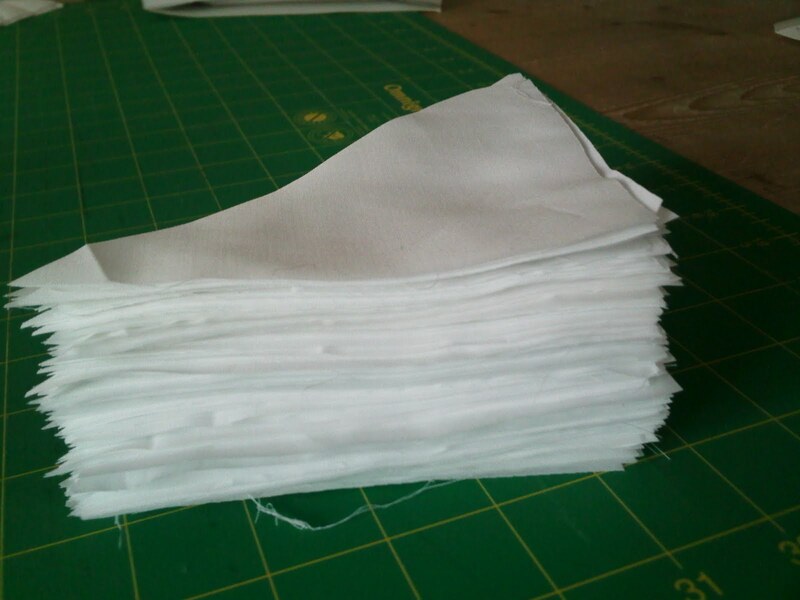 The cutting that I did manage to do yesterday, was for the Across the Sea QAL. 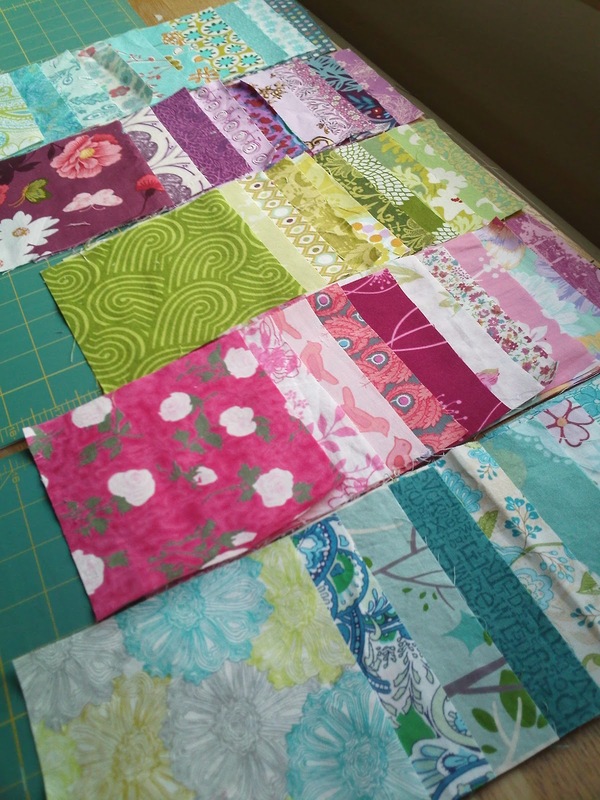 What a lot of squares and rectangles – so glad I only signed up for the cot size quilt! Have a fab Thursday, whatever you get up to! Previous Previous post: Rail Rolling! Next Next post: A Bag for Life!